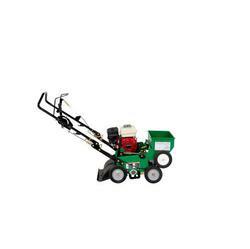 -Easy to operate, adjustable power rakes for years of service. -Spring-loaded reel clutch for positive raking control. 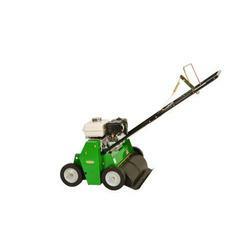 -Use to rake, dethatch turf or break up aeration cores. -Pivoting front axle allows maintaining of a stable surface.